Some smartphone owners have been scratching their heads about how Verizon Wireless’s recent changes to its data plans might impact their monthly bills. 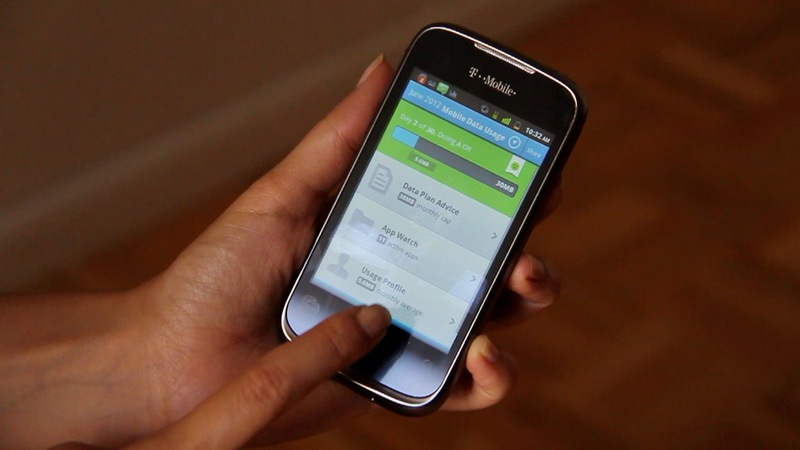 While the squeeze on unlimited data may result in overage charges for some consumers, at least efforts are being made to help keep them informed: Last fall, all four U.S. wireless carriers agreed to send some type of automatic data usage alerts to subscribers. Also, the newest flavor of Android’s mobile operating system, Ice Cream Sandwich, comes with its own data-monitoring application. And for consumers with iPhones and older Android phones, there are third-party apps that help solve the data dilemma by making them aware of how many megabytes they’re really using when they upload Facebook photos or stream three hours of music on Pandora. The three apps I’ve been testing this week — Onavo Count, My Data Manager and Data Usage — factor in basic details about your wireless plan, offer alerts when you’re nearing your data cap and, in some cases, tell you which apps are the biggest data hogs. The first two are free, while Data Usage costs 99 cents. Onavo Count by Onavo Mobile Ltd. had the simplest interface of the three, and provided helpful data, but I encountered some limitations when using it on Verizon Wireless devices. Mobidia’s My Data Manager app has a swipe-friendly, multiscreen interface, but gets a little wonky with its presentation of your data. Data Usage, created by a company called Sigterm, was the most comprehensive of the three, though it might show too much info for people who need a simpler breakdown of their data. I mainly tested Onavo Count for Android, which stood out for its simplicity. The Onavo app displayed a single progress bar at the top of the screen, illustrating how much of my data I had used so far. For example, the app told me I was “Doing A-Okay” when I had used just 14.4 megabytes of my allowed 30MB. Beneath the progress bar, I could get advice on whether my wireless plan was a good fit for how I used my phone. Onavo Count didn’t give me much advice, aside from saying my plan was right for me. Also, Onavo offers users the option to share their data monitoring habits with Twitter and Facebook, but when I tried to share with Twitter, it caused an error. Onavo says this is the result of a faulty app update, and that it’s fixing this. My Data Manager is free, and is available for both iOS devices and Android smartphones and tablets. 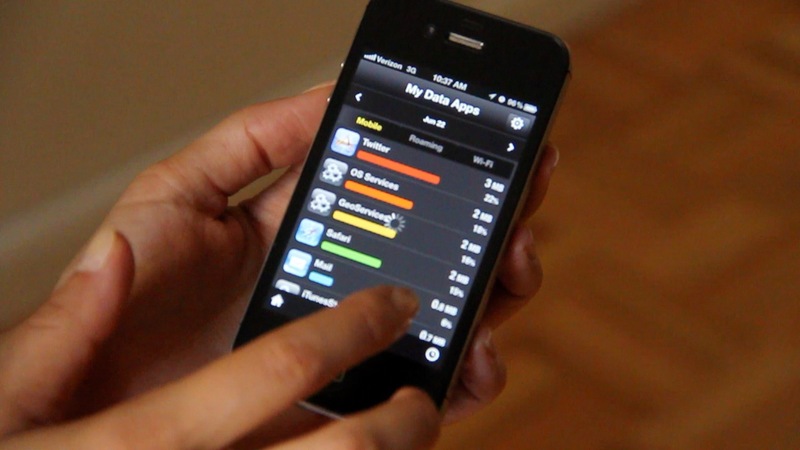 It takes a more visual approach to managing smartphone data. In settings, I could select my plan type, specify that my billing cycle ended on the 27th of each month and choose whether I wanted to have my data measured in megabytes or gigabytes. I could also opt in to receive alerts when I was approaching my data limit. Another useful feature, though it’s Android-only: I could set the app to automatically shut off the data services on my phone if I reached a certain threshold. I liked that My Data Manager was designed to allow for side-to-side swiping through its six screens, rather than cluttering one screen with lots of different tabs and menu options. But did I need all of those graphs? Not really. The My Data Summary and colorful My Data Apps section, which let me know Instagram was my biggest data downfall, were definitely most useful. But there was also a Data Graph, a Data Map and a Data Overview that all showed variations of the same thing. The Data Map showed bubbles on a Google Map to indicate where I used the most data, with the largest bubble near my apartment. There wasn’t anything especially insightful about that. Mobidia says the map is meant to be helpful to people who might live near country borders, or users who want to see when they’re using cellular data instead of Wi-Fi data, and vice versa. The company also says it’s looking for users’ locations in order to provide data-saving recommendations based on that area. 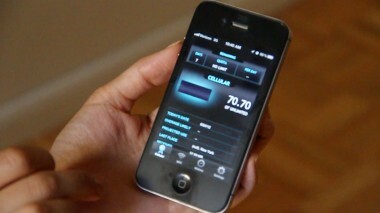 Data Usage costs 99 cents, and is available only for iPhone and iPad. (Sigterm also makes a slightly more advanced version of the app, Data Usage Pro, that sells for $1.99.) While My Data Manager is heavy on visual graphs, Data Usage includes tons of numeric information. For example, Data Usage not only displayed both my cellular and Wi-Fi data usage, but broke it down by sent and received data. A quick check would tell me that I’d used 9.56MB of data by sending or uploading content, compared with 37.12MB of received data. Data Usage also told me whether I was likely to incur overage charges based on my usage patterns. Within the settings tab, I could indicate when I wanted a progress bar to turn yellow as a warning that I was using up a lot of data, among a handful of other notification options. One morning, I noticed a discrepancy between the amount of data My Data Manager said I’d used so far — 5MB — and the 3.07MB Data Usage had calculated. It turns out that if you don’t run Data Usage just before you power off or reboot your phone, the app won’t automatically update when you turn it back on. You do have the option to later adjust the usage count. All three of these data management apps recommend that people enable location services and allow the app to run in the background to keep a consistent tally on your data usage — but warn that this will drain your smartphone’s battery more quickly. If you’re an Android user, I’d recommend using Onavo Count. For iPhone users, My Data Manager shows some helpful graphs, but to get into the nitty-gritty of your data usage you may want to splurge for Data Usage.